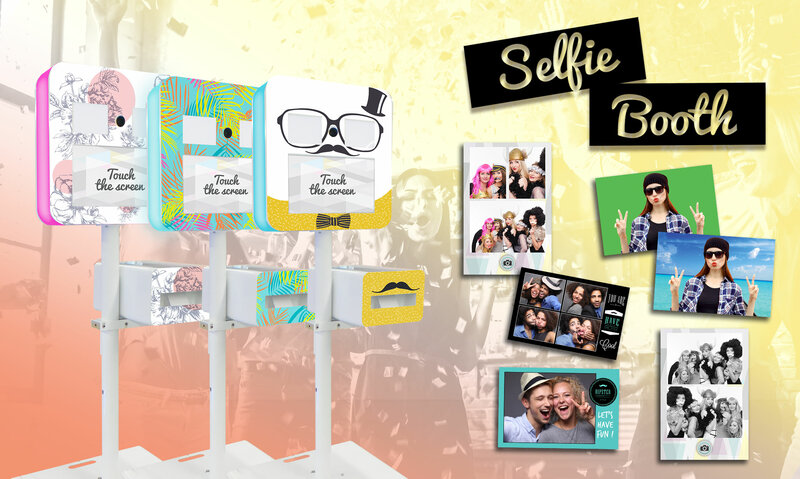 Connected, design and trendy the Selfie Booth is the only fun and original selfie machine that exists on the market. It’s the dream tool to animate your events, launch a new product: the opportunities are endless. The Selfie booth is easy to move and transport, broken down into three small compact parts which will easily fit in the boot of a car. She also allows you to generate a user database by collecting users’ email addresses. The Selfie is easy! he customer or group of customers strike a pose, take some selfies and can share them by email, on social media or print them instantly.